Rounds three and four of UK circuit series the Volkswagen Racing Cup were played out at Zandvoort over the weekend of 22 and 23 May. The championship’s first-ever overseas rounds, 23 racing Volkswagens of all shapes and sizes took to the Dutch seaside circuit, with two Polos mixing things up. 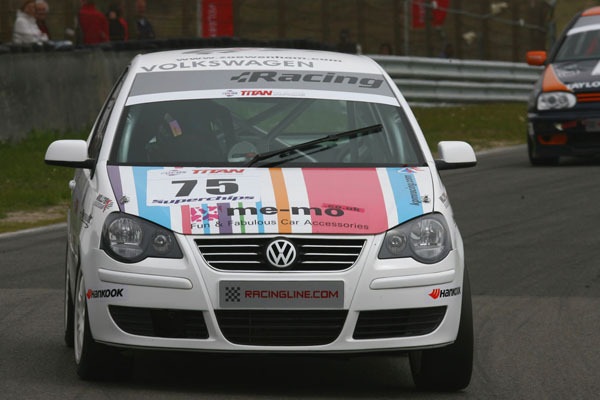 Zoë Wenham, the Volkswagen Racing Cup’s youngest ever competitor at just 16, delivered a good account of herself on her championship debut. But, a highly unfortunate driveshaft failure – which was later followed by a problem with the turbo on her Polo GTI – meant a retirement from race one and subsequently prevented her from taking to the grid for race two. The pair of Polos started at the back of the grid for both races, Wenham posting a 2:10.216-minute lap time equalling a 20th place on the grid, while Reigate’s Darren Blumson in the Adrenaline Motorsport Polo GTI recorded a 2:13.872, positioning him two cars further back. Zoë’s driveshaft failure meant she retired after 8 laps, while problems with Blumson’s car led him to finish only 6 laps out of the total 13. The silver Adrenaline Motorsport car started from 20th place on row 10 in race 2, but retired again, this time after 8 laps. Similar to Blumson’s car, Wenham’s white 1.8-litre Polo GTI is also turbocharged, but prepared by KPM Racing, the team headed by ex-Honda F1 technician Kevin Poole. Speaking before Saturday’s race, Wenham said: ‘I’ve given the Polo a shakedown at Silverstone and I have a day planned at Rockingham, but other than that I have no experience of the car. It’s going to be a big step up for me.’ With extensive karting experience, Wenham has raced for two years in the junior SaxMax series, finishing the championship ninth overall in 2009. She hopes to her experience in the Volkswagen Racing Cup will enable her to graduate to touring cars. 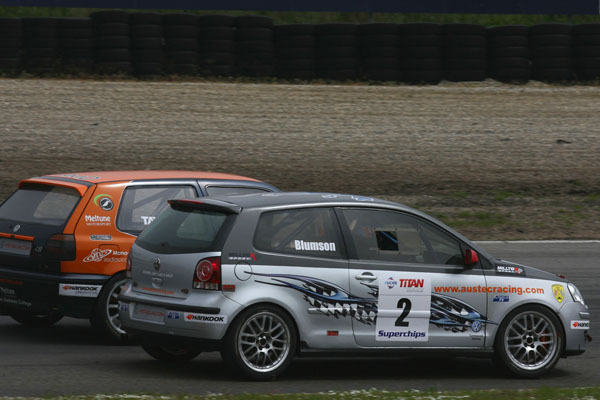 The Volkswagen Racing Cup 2010 with Fuchs Lubricants is additionally supported by Augustus Martin, Ceva Logistics, ECM Vehicle Delivery, Hankook, Milltek Sport, KW Automotive, Superchips and Volkswagen Commercial Vehicles. 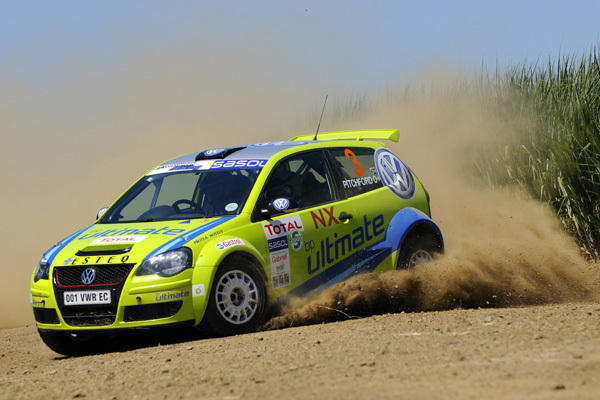 The 2010 Volkswagen Polo Cup South Africa kicked off at the weekend with its first races of the season at Scribante. 2009 title defender Matthew Hodges claimed victory over Devin Robertson, with a 2.3 second lead in the first round and was 3.6 seconds ahead in the second. Twenty cars raced around the 2.48km circuit near Cape Town, with Kyle Barnes and Jacques Joubert taking the remaining podium places. 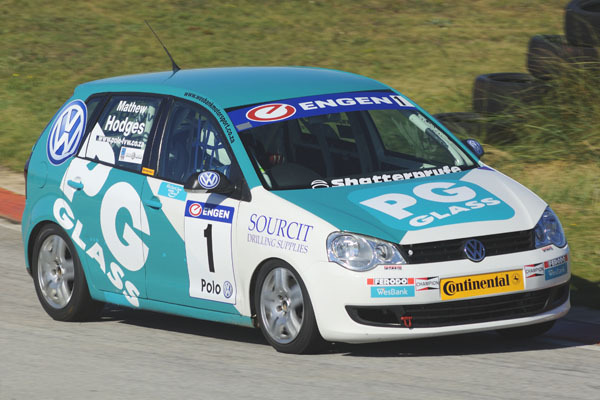 The 2010 Volkswagen Polo Cup South Africa series is similar to the other racing Polo championships run in Europe and India. Just as in those series, the one-make format highlights new young driving talent. As many as 30 drivers regularly take to the track in technically identical cars, full grids ensure close-fought races. The ADAC Volkswagen Polo Cup may have been usurped by the Volkswagen Scirocco R-Cup in Germany, but the Series 4 Polo is still enjoying a successful motorsport career in, among other places, South Africa. Last weekend, Enzo Kuun and Guy Hodgson took their Polo S2000 to victory in the 2010 Sasol Rally, the third round of the 2010 Sasol South African Rally Championship. Scoring the best time in six of the 16 special stages, the duo were 30 seconds ahead of second-placed Johnny Gemmell and his Toyota Auris S2000. Rounding off the 2010 Sasol Rally top three was the fellow Polo S2000 pair of Jan Habig and ex-Dakar co-driver Ralph Pitchford. 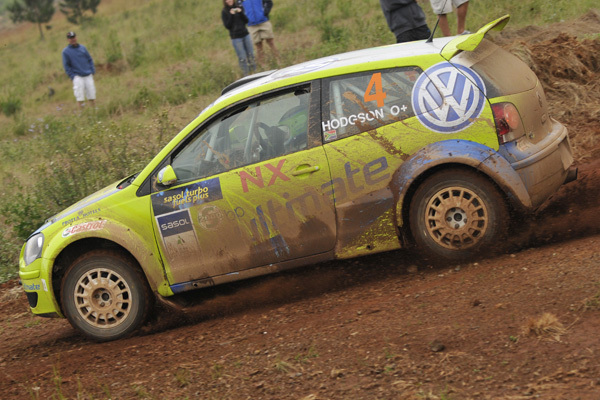 The Sasol victory is the latest in a line of podium places for the Polo S2000 in 2010. Kuun and Hodgson finished second in the 2010 Toyota Dealer Rally on 26-27 March, 5 seconds behind the Ford Fiesta S2000 of Conrad Rautenbach and Peter Marsh, while Habig and Pitchford’s car didn’t complete the event. In total, 12 Polos contested the rally, in the A6, A7 and S2000 classes. 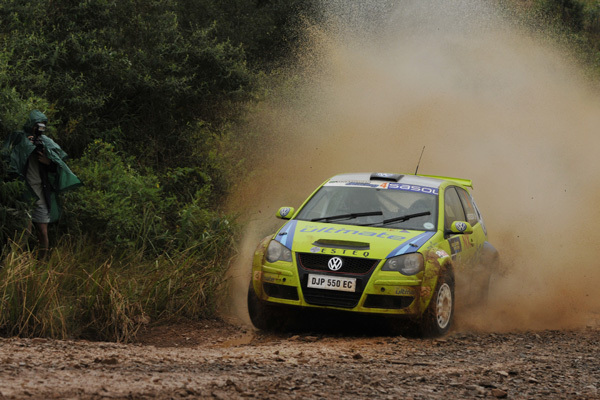 Meanwhile, in the first event of the season, the 2010 Total Tour Natal Rally on 6-7 March, the Polo S2000 of 2009 champions Hergen Fekken and Pierre Arries took the top spot, with Kuun and Hodgson’s car very close behind. Habig and Pitchford’s Polo S2000 came in eighth. The factory-backed 2010 Polo S2000s are competing in BP Ultimate livery until later in the season, when a squad of new shape Polos are rumoured to appear, possibly on the Volkswagen Rally in July. Although BP has ended its sponsorship of the official Volkswagen trio, it remains as fuel supplier. 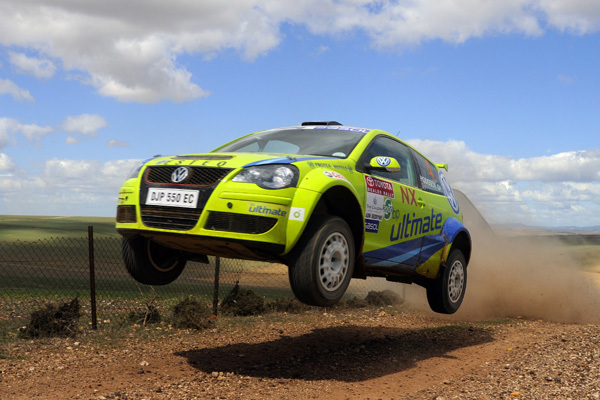 The next round of the 2010 Sasol South African Rally Championship is the Rally of South Africa on 28 and 29 May, which will be held in the Ermelo region of Mpumalanga. The latest phase of the Polo’s motorsport career is due to start in India on 30 May 2010, when the inaugural round of the Volkswagen Polo Cup India takes to the track. Running as part of the 2010 JK Tyres National Racing Championship, the series has attracted 1,100 entries for the 20 starting places on the grid. These will be filled by a four-tier selection process, which started with initial administrative checks, reducing the number of 16 to 24 year-old drivers to 713, which, after interviews, were slimmed down further to 450. 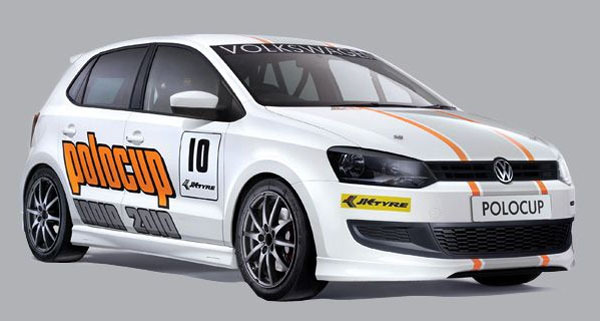 Winning drivers will each punt a 129bhp 1.6-litre TDI Polo Cup car around circuits in Chennai and Coimbatore. The debut of the series will take place on a street circuit around Pune, where the Indian-market Polo is built. Sanjay Sharma, head of motorsport at JK Tyres, said that to discover the rising stars, the remaining young drivers will undergo further tests in Polo simulators flown in from Germany. ‘The simulator runs are for absolute rookies with no racing experience. They will then graduate to four-stroke go-karts and then to two-stroke where they will be joined by drivers with some racing background. We will then shortlist 40 candidates who will take part in the final evaluation process in Coimbatore on May 15 and 16 when they actually get to drive the Polo Cup car. While JK Tyres will provide some support, the evaluation will be done by experts appointed by Volkswagen,’ Sharma informed the Indo Asian News Service. The Volkswagen Polo Cup India is the newest championship run by VW, which runs similar series in Europe, Japan and South Africa. The entry fee for the six-round championship is Rs 240,000 which covers the cost of fireproof racing overalls, a helmet, HANS (Head And Neck Support system) and service back-up as well as hospitality during race weekends. The series champion will be decided on cumulative points that range from 60 to two for each of the six rounds. The championship will be run in a controlled environment that disallows any set-up changes or modifications to the car with the exception of a three-way adjustable front stabiliser and tyre pressures. The UK’s Autocar reports that Volkswagen will is currently contemplating its motorsport future, and, excitingly, a decision to enter the 2012 World Rally Championship (WRC). The company will make a final decision on its motorsport plans later next month, but if the WRC promoters can convince the German giant of the series’ worth, a new 2.0-litre, 200bhp-plus Polo rally car could well be in the offing. A tarmac or gravel-spec motorsport Polo is nothing new. 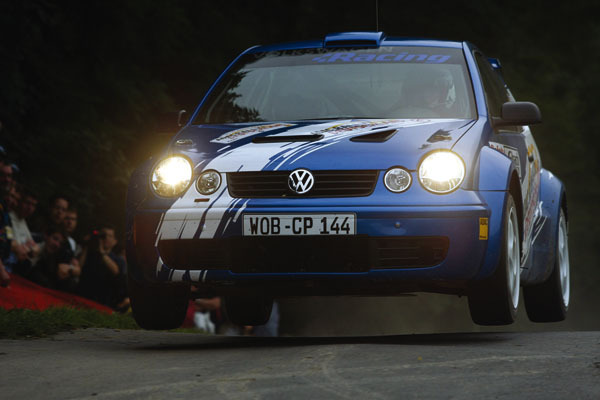 Volkswagen launched the club-level Volkswagen Polo Rally Challenge in 2001 and officially fielded a Super 1600 version of the Polo GTI around the same time. 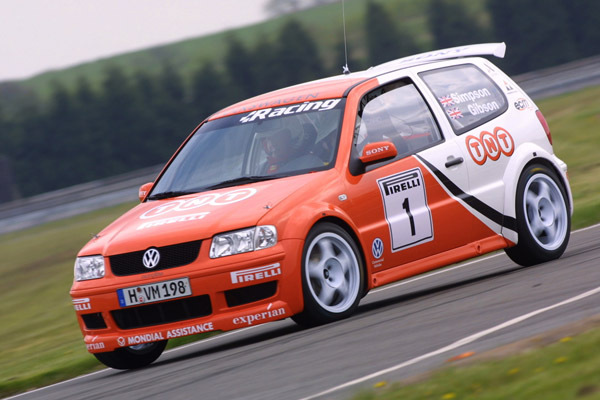 There were Series 4 Polo-based rally cars, too, with entries in events in South Africa and Europe from 2002. Super 2000 (S2000) Polos were even running in the Intercontinental Rally Challenge as late as year. If WRC participation becomes a reality and the new Polo goes rallying, it will add yet another motorsport string to its bow; the track-based Volkswagen Polo Cup India starts in June. Now that the ADAC Volkswagen Polo Cup championship has been replaced by a Scirocco-based series and with the WRC reportedly switching to S2000 cars in 2011, the time could be right for a new motorsport version of the Polo. Autocar states that even Volkswagen Motorsport Director Kris Nissen thinks a new Polo (or Golf) rally car could be a possibility: ‘If we decided to go with the WRC, my view is that we would need at least a year and a half to prepare, so we would be looking at coming in for 2012,’ he said.